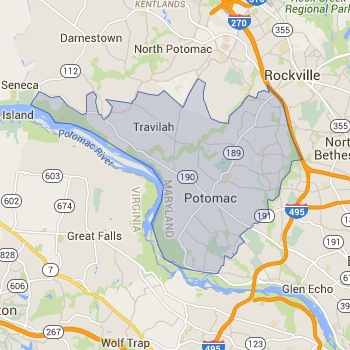 Potomac is bordered by I-270, the Capital Beltway and the Potomac River. Potomac is known for its regal estates on spacious lots, but it is also home to numerous neighborhoods with traditional colonial homes. 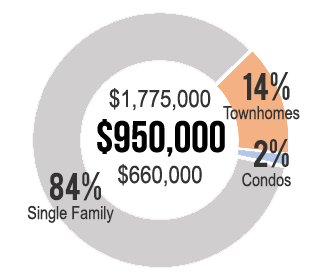 With the exception of new luxury condominiums at Park Potomac and other new developments, the market here is dominated by single family homes. The median sale price for a home in Potomac is around $850,000 making it one of the most expensive areas in Montgomery County. Search on zip 20854 to find homes in Potomac. Most homes in Potomac are assigned to the Churchill, Wootton, Whitman and Richard Montgomery school clusters. Always verify a home's school assignment directly with MCPS.